Looking for a war time disguise? 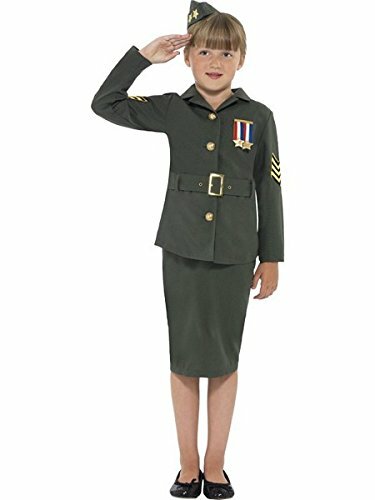 Try Smiffy's WW2 Army Girl Costume on for size! Costume includes Jacket, Skirt, Attached Belt and Hat. Dry Clean Only, 100% Polyester. 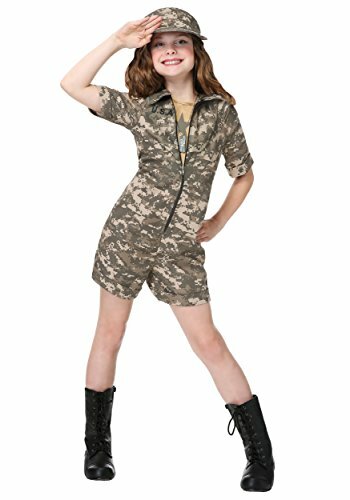 You'll be ready to be the hero and save the day in this classic Army Ranger inspired costume. 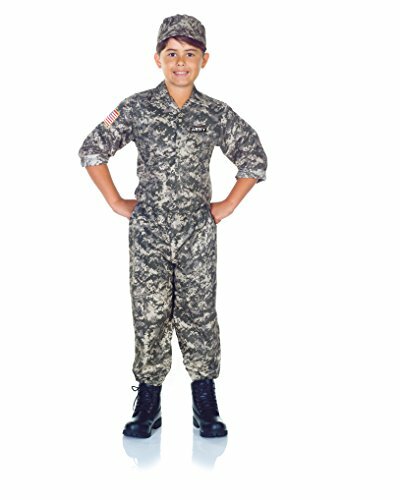 This versatile costume is ideal for school projects, playtime, stage performances, costume parties, Halloween and more! This costume includes shirt, pants, and matching hat! Available in Children's Small (4-6 Years), Medium (6-8 Years), Large (10-12 Years), Extra Large (14-16). 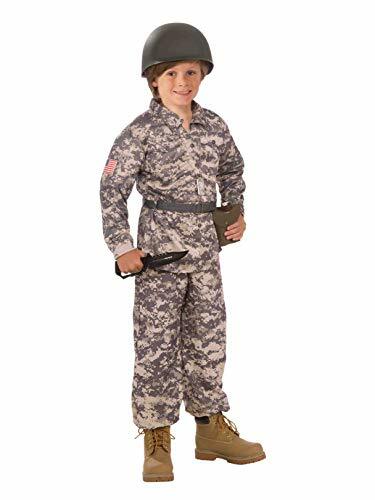 Child's deluxe retro Army style costume jumpsuit and mini-hat headband. Bringing imagination to life, Princess Paradise has a mission to be a leading costume company in quality and design and in employee satisfaction. Happy workers make fun costumes! We create costumes for newborns to adults, something wonderful for every family member. Our costumes are made from unique and trendy fabrics that will inspire your imagination and delight you at the same time. This sparkly camo dress is too cute! The front has an army style star and the shoulders and bottom skirt half are camo pattern topped with a layer of sparkles! There's even a layer of tulle underneath for added chic attitude! This outfit wouldn't be complete without the included matching hat!